Now is the time to start truly adding greater value to your business through the benefits of outsourcing. By engaging in outsourcing, you will have the real ability to increase your service standards and grow your business instead of being buried in back-office work. We recruit and manage professional staff who will be 100% dedicated to your business and will work directly with you from our office. They are effectively an extension of your local team, just located remotely. Think of us as a recruitment company located in the Philippines. We have advanced systems to ensure that you get high-quality staff working for your business. We monitor the activity levels of your staff throughout the day. The system uses screen shots, tracks keyboard and mouse activity levels, website usage and shows you what your staff are working on at any given time. We understand the importance of long term staff retention. A positive work environment sets up the foundation for long term staffing solutions. Premier Outsourcing ensures that your staff are happy at work. IT’S NOT A SECRET YOU HAVE YOU HAVE YOUR CONCERNS! When it comes to outsourcing most business owners are scared, don’t know who to turn to and are worried about getting ripped off! The good news is that Premier Outsourcing has dedicated Australian business owners who live in the Philippines, have years of experience in the outsourcing industry and own multiple businesses in a range of different areas. If your looking for a free consultation we would be happy to assist. The hardest decision you will make regarding outsourcing is that of the decision to start. The Philippines workforce is fast becoming a hotspot for entrepreneurs and business owners to grow their business using virtual assistants. The term virtual assistant refers to a person who is hired by a company to complete work on behalf of that company from a remote location. Hiring a person from a remote location is referred to as ‘Outsourcing’. ‘Outsourcing’ refers to an agreement in which one company hires another company to be responsible for an existing internal activity. Businesses can outsource a wide range of tasks to a virtual assistant. Some of these tasks include accounting, bookkeeping, graphic design, customer service and data entry to name a few. Essentially any work that can be completed using a computer or a telephone can be achieved by a virtual assistant. Why should a business outsource? 1. Allows a company to focus on the core business processes. Hiring a virtual assistant to help with specific tasks can help a business owner or the core staff in the business focus on what they do best. Outsourcing can help to reduce internal costs, whether it be through the cost of labour or the fact that the business does not need to invest in infrastructure that often comes hand in hand with the hiring of new staff. Hiring a virtual assistant to help with your business is an excellent way to keep your costs lower. Engaging a virtual assistant from the Philippines is significantly cheaper to that of hiring locally, the cash flow of the business is often improved. The business owner can then strategically utilise the cash savings into other areas of the company which will allow you to scale faster. Virtual assistants can be used to increase productivity. Often a business owner can be tied down doing non-dollar productive jobs that are somewhat time-consuming. A virtual assistant will not only help you to improve the accuracy of these processes, but you will then be able to delegate your internal resources to more productive tasks. Reducing your internal costs and increasing the number of external staffs can help you to improve your ability to handle a more significant workload. If your business is scaling a great way to handle any inefficiencies is to hire Virtual assistants in the Philippines. 1. The Philippine’s is an English-speaking nation with many Filipinos having excellent written and verbal English-speaking skills. 2. Filipinos have high regard for education, so the Philippines offers a wide range of highly skilled individuals who can assist with a wide variety of tasks. 3. The work ethic of a virtual assistant in the Philippines is of a high standard. Having a job in the Philippines is a privilege with no social security system available you will find that the Philippines people have one of the hardest working work ethics in the world. 4. Virtual assistants from the Philippines offer excellent value because of the economic circumstances. Businesses from around the world can reduce the cost of labour drastically than to that of hiring locally while at the same time a virtual assistant is typically able to earn well above the average salary that people can expect to make in regular jobs. There is no doubt that there are many benefits to hire a virtual assistant specifically to hire a virtual assistant from the Philippines. Outsourcing enables you the time to focus your attention, streamline practices, while at the same time growing your business at a fraction of the cost as that of hiring locally. At Premier Outsourcing we are an Australian owned outsourcing company that understands the needs of business owners, understands the Philippines culture and how to get the best out of your virtual assistant. If you are a business owner and are considering hiring a virtual assistant from the Philippines, we would love to have a one on one consultation to discuss your business needs and how we can best assist. How can I grow a better business through outsourcing? Most business owners have many talents however we often find that they think they can do everything. This is an attitude can stall the growth of any business. By outsourcing the day to day back-office tasks, the businesses key personnel then have more time to focus on generating more income. Outsourcing can make a powerful impact on growth, productivity and the bottom line. Business owners have long seen outsourcing as a strategy reserved for large corporations, however, due to the rapid expansion of technology outsourcing is now a much more accessible option for smaller businesses too. Due to the accessibility and abundance of extremely qualified professionals in the Philippines, we are noticing a wide variety of job functions are now outsourced. Essentially any job that can be done using a computer or a telephone can be outsourced. Typical roles that are outsourced include, customer care, technical support, back-end office administration, graphic design, technical support, transcriptionists, web designers, bookkeepers, accountants, IT specialists and the list go on. These freelancers work with the business under a sub-contractual basis, so they save the business owner the burden of paying expensive overheads associated with the payroll taxes and expenses such as benefits, health insurance and workers compensation, as well as the space constrictions that a growing a company in-house can present. 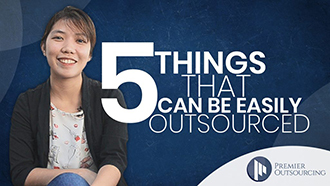 Taking the first steps to get into outsourcing can be a time-consuming process. However, this process can also be a massive benefit to the business. We often find that as a direct response when preparing to outsource a business owner will be forced to go through each business processes and start to think and develop the best system possible around that job function. This process will offer increased efficiencies and allow for the economics of scale. When is a good time to outsource? For every business, the right time to outsource can be vastly different. 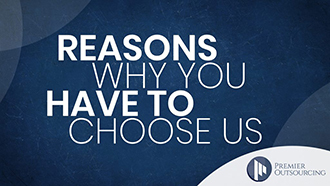 Business owners outsource for a wide range of reasons. The biggest reasons that a company may start to outsource is when they lack the human resources or skill set within their current organisation to complete the work. Matthew Brunes, the owner of Carpet Cleaning Kings (who has been outsourcing successfully for five years), said the right time to outsource was when he realised that although he wanted his business to grow, he had no time left to pursue the growth. Outsourcing enabled him to take a step back from the business and concentrate his energy where it needed to be spent. Matthew says ‘When I started I wanted to do everything. In the beginning, this was working well. However, my hours seemed to increase, and I started to run out of time to do everything. I also realised that that to grow the business, it could not revolve around me. I had to let go of some of the work and to start delegating.’ Letting go paid off: The first year after Matthew began outsourcing the workload, Matthew tripled the company’s revenue. Matthew now employs a team of 8 working from the Philippines. The group consists of customer services representatives, a bookkeeper, a web designer, and a graphic designer. Without using the services of Premier Outsourcing, Matthew would not have been able to grow his business to the scale he has developed thanks to the use of outsourced labour. There are many businesses that we have helped to reduce their costs and scale their business. If you are looking for a free consultation, get in contact with us today. What makes the best outsourcing company? How to find the best outsourcing company? Once you have decided to outsource some of your business processes, the next step is to ensure that you find the best outsourcing partner. Ultimately the best outsourcing company to align with would be a company who shares similar visions, has a superior infrastructure, has an excellent track record and experience, systems, processes and quality control and will look after your best business interests. Why Premier Outsourcing is the best outsourcing company. George Psomas director of Premier Outsourcing, believes that the easiest way to achieve success through outsourcing all stems from favourable the treatment of the staff. 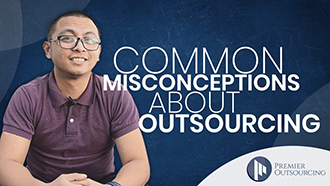 There are many BPO’s (the term used to describe Business Process Outsourcing companies) in the Philippines who are widely known for their churn and burn approach to the staff. In these business models, the staff are merely a number, there is often poor treatment towards the staff, and in return, the employees give back a half-assed effort and no loyalty. As a direct response, there is a lower quality of performance and a constant need for recruitment and training. With that said, the Philippines is a country in which if given the right treatment, meaning a positive work environment, work culture and pro-staff attitude, you can then create a foundation of success because not only can you attract high-quality staff, you can retain highly trained, skilled and loyal employees who will work with your companies for years on end. ‘Premier Outsourcing is the best Outsourcing company in my opinion because we understand that the treatment ‘and retention’ of quality staff is of utmost importance to any business looking to grow their offshore team.’ George Psomas. 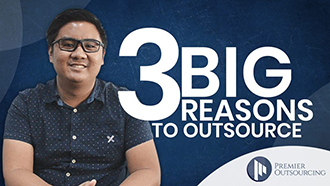 If you can get this part right the rest is easy, it is just a matter of infrastructure, and at Premier Outsourcing, we have invested to ensure that we stand out as the best outsourcing company in the Philippines. Premier Outsourcing office operates 24/7 has been recently renovated, we have a large office space with the capacity to handle business growth. Our office has invested heavily into redundancy systems meaning that we have back up power and back up communications because let’s face it the Philippines is a third world country, and from time to time there are power and communication outages. A strong focus has on back up systems has been implemented to ensure operations always run smoothly with as little downtime as possible. Premier Outsourcing has complete back-up power generator linked in with a major shopping complex. We also have power packs (UPS -uninterruptible power supply) installed to each computer which ensure 30 minutes of power in the event of a blackout; this is more than enough time for our staff to power up the generators. We also realise that slow or intermittent internet connectivity will directly impact the productivity of your offshore personnel. It will also make it difficult or even impossible to coordinate with your offshore team. A reliable, high-speed connection is an essential component of our outsourcing solution. At Premier Outsourcing, we do not take any chances, which is why we use hardwired, dedicated leased lines and backup lines to ensure connectivity for our offices. We have ample lines from multiple different providers to ensure our connections are up and running as much as physically possible. The last reason in which makes Premier Outsourcing the best outsourcing company in the Philippines is that George Psomas, the director of Premier Outsourcing has a wealth of experience both in outsourcing and in Business. George has been heavily involved in outsourcing for over ten years, and owns a multitude of successful businesses in various industries. It is these reasons why Premier Outsourcing is the best outsourcing company in the Philippines. Premier Outsourcing is an Australian Outsourcing Company owned and managed by George Psomas, an Australian living full time in the Philippines. George began his entrepreneurial journey over ten years ago with successful businesses still operating within Australia. The company was formed when George realised that Outsourcing could offer a large magnitude of benefits to each of his businesses. He also felt that starting an Australian Outsourcing Company could benefit many other small and large companies throughout the country, while also creating a positive influence in a third world country and helping those less fortunate. As the cost of living in Australia increases, staff are becoming more and more demanding for higher wages, while consumers are becoming more and more cautious with their hard-earned money. This dilemma is creating a problem for a lot of small and large businesses. Business owners have now started to realise that using an Australian Outsourcing company can help shoulder some of that burden. For instance; being able to decrease staff wages while not impacting on productivity only creates a positive impact on the bottom line. As an example, the average annual cost savings for Premier Outsourcing clients has been recorded at $40,000 – $90,000 per person. Think of all the other wonderful things you could be doing with that kind of savings? Whether it be taking your family on a significant holiday, buying a bigger house, buying a nicer car, or even being able to expand other areas of the business you may not have had the equity to do so. Adding to that; an outsourcing company can allow your business to run a lot more efficiently and more effectively. Our team can connect you with highly skilled talent that will help take your business to the next level. We work with a range of small to large companies and have proven experience in helping businesses to leverage from remote workforces. Premier Outsourcing prides itself on being able to hand pick suitable applicants for a vast range of different roles and service industries by utilising a large group of an educated talent pool within the Philippines. It is, however, essential to know that the Filipino staff working at Premier Outsourcing or working in any other Australian outsourcing company for that fact, have no desire to take away jobs from Australians. Filipinos love nothing more than working as part of a team, being productive and striving towards a common goal for the business. They have a fantastic work ethic. Offshore resources can help support your local operations by taking on labour and process incentive tasks that local employees may not have the time to complete efficiently. This will allow local employees to focus on things that matter; like growing your business! Some of the roles which can be outsourced include admin support, customer service, technical support, telemarking, web development and virtual assistant services. Our offshore team can also allow you to provide round the clock service- something you might not have been able to achieve locally. At Premier Outsourcing, we have witnessed clients expand their staffing capacity at a much faster rate than they may have been able to locally. This has resulted in those businesses being able to scale their business much more effectively and at a fraction of the cost. At Premier Outsourcing, we are a staff orientated company. We believe it is our staff that make the company great. Our philosophy is that if we provide the best work environment for our team, then we will attract and retain the best staff available. With this, we can offer the best service possible to our clients. If you would like to know more, please contact one of our customer service representatives at 1300 718 837. We are more than happy to discuss what we can do to help your business grow and evolve. Is there any lock in contracts? Premier Outsourcing has no lock-in contracts, however we do have a 2 months notice period to end the agreement. The staff at Premier Outsourcing are amazing. Our business’ would not be the same quality of businesses they are today with out the help from our team in the Philippines. If you are looking into outsourcing you will not find a better company to associate with. Premier Outsourcing understands the pressures placed on businesses today as well as the changes in the world today in regards to customer service requirements, which is what makes them stand apart. They understand business and how to keep customers happy. It was an easy decision for KCJ Property Restorations to partner with Premier Outsourcing which allows us to focus on our core business. They have not only met but exceeded my and my clients expectations. Great team and great culture. If you are in need of BPO or sales offshore solutions, get in touch with them. You can thank me later. :) Great job Premier Outsourcing. And GREAT job Victor and Roselle!!!! Premier Outsourcing has been a great way for us to start outsourcing some of our administrative jobs.The whole process has been straight forward and they have given us fantastic support to establish the necessary systems.Definitely 5 stars! A big thank you to the team at Premier Outsourcing. Without them we wouldn’t of grown out knowledge about outsourcing. With the team at Premier Outsourcing on our side every task is made easier and we know the job is going to get done and be more efficient. I can highly recommend Premier Outsourcing Both Ren and Ram have made our business run more efficiently. They have an excellent work ethic and have gone above and beyond our expectations. Great service and team! Could not be happier with what we are achieving now that we have Kit from Premier Outsourcing on our team. Highly recommend! I would highly recommend Premier Outsourcing to any agency or company! Really easy to work with and their staff are fantastic. We have been working with Premier Outsourcing for some months now and continue to be impressed with their professionalism, relationship management, and mostly campaign management. Premier Outsourcing prides itself to be a staff orientated company. It is the staff that make our company great. Our philosophy is that if we provide the best work environment for our staff, then we will attract and retain the best staff. With this we can offer the best service possible to our clients. Know more about outsourcing & our services. Submit the contact form below and we’ll get back to you in an instant! You get a staff member working with you on a full-time basis – A full time basis is 160 hours a month. The fee includes all staff wages, mandatory bonuses and taxes. It includes all operating costs in which we need to charge for to make this successful including full redundancy measures to ensure that your business can always operate. The fee will contribute towards our management staff, IT staff and HR staff that of which we must make this a seamless process. Submit the contact form below to check our Price List! Staff members value being part of a team, which provides room for growth and development. Premier Outsourcing understands the imperative need to keep our staff happy. It is a FACT that a happy staff member is more productive and more likely to remain working for a company. Our culture is that our staff are like family and should get treated with respect, every member should help each other when they can, and that hard work and results are rewarded. We look for problem-solving, solution-oriented people and believe that we provide the proper training required to assist with this. All staff work from our modern air conditioned office, they are provided with a comfortable workstation, we have an in-house fridge, pantry, and offer free coffee, food and snacks. All staff are invited to attend our regular events. These events go a long way to improve team culture and offer our staff a great work / life balance.